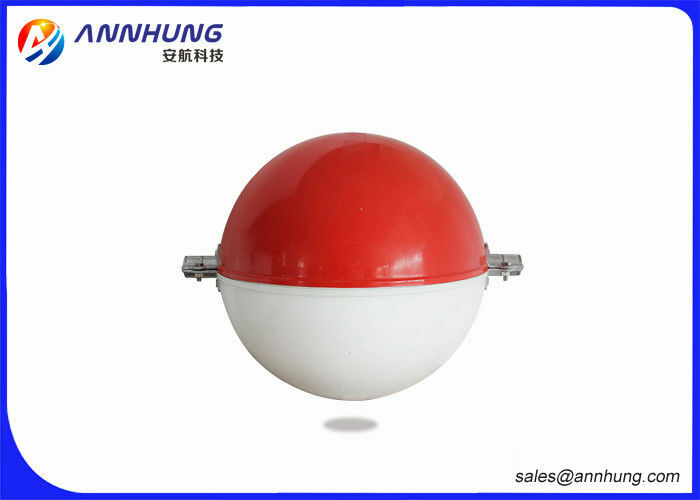 A marking sphere should be of one color such as aviation orange, white and red. 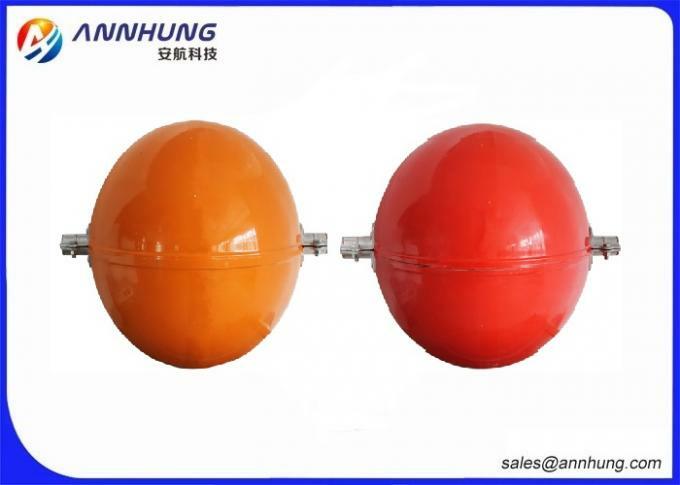 Generally, the marking spheres are placed on the highest line. Where there is more than one line at the highest level, white and red, or white and orange spheres should be displayed alternately. This alternating color scheme provides the most conspicuity against all background. 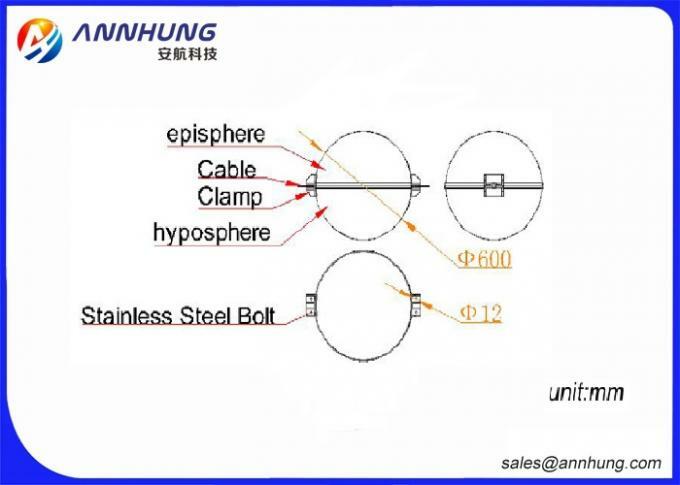 1. high-rise transmission lines, eg.110KV, 220KV, 500KV,. 1.At the mount point on the alerting ball, wrap cable protecting bars round cables for 1000-1200mm long, with two ends of protecting bars extending 200-300mm beyond the surface of the ball. 2.Fix the plastic wires which are mounted on lower hemisphere of the ball onto the cables and twist them. 3.Combine the lower hemisphere with the upper hemisphere according to module codes. Turn the hemisphere during the assembly and make sure two hemispheres are joined into position . 4.Insert stainless steel bolt(M12*35) and then put flat washers and spring washers around each bolt. Tighten each nut at last. Optional Color Red. White, Orange etc. Color: Orange, Red, White etc.